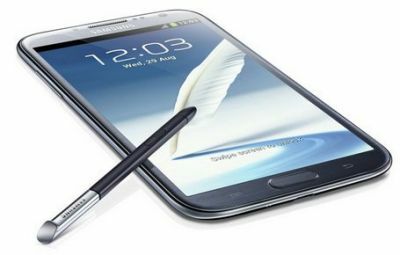 The Galaxy Note II is the successor to the popular "Phablet" Galaxy Note. This large phone/tablet has a 5.5" HD Super AMOLED display (1280x720, non-Pentile), a quad-core 1.6Ghz processor and a large 3,100mAh battery. The Note II is only 9.4mm thick.